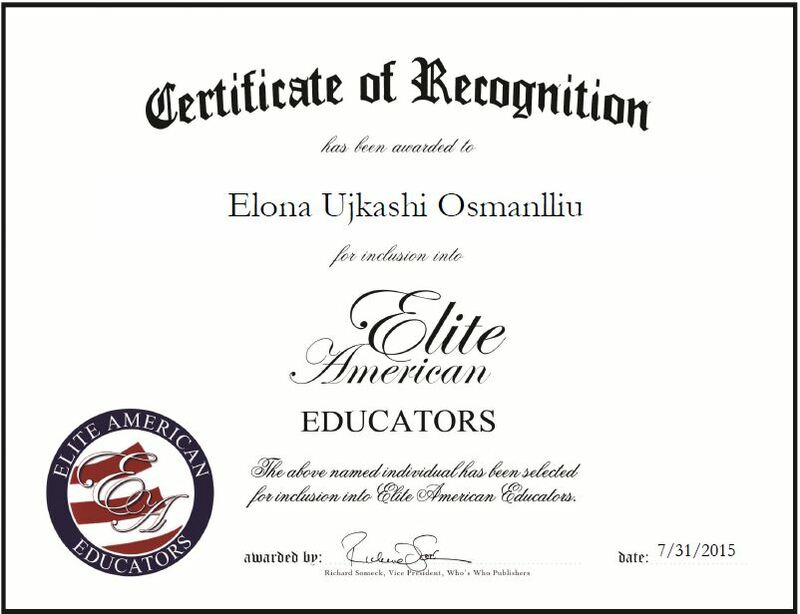 Dallas, TX, July 31, 2015, Elona Ujkashi Osmanlliu, Professor Mathematics and Communication at El Centro College- University of North Texas, has been recognized by Elite American Educators for dedication, achievement and leadership in mathematics. Ms. Osmanlliu was a top student in mathematics during school. Her mentors and teachers encouraged her to pursue mathematics, and she has steadily progressed throughout the education industry over the past 25 years. Ms. Osmanlliu has extensive experience in the areas of algebra, geometry, trigonometry, calculus, and is responsible for developing lesson plans, creating activities, grading, and striving to empower students and coach them to apply what they learn into everyday life. Well-respected for her passion and dedication, her students continue on after college; they stay in touch with her and tell her where they are in life and their careers. She feels there is nothing more gratifying than hearing that she was and is an important piece of their lives. Ms. Osmanlliu attributes her success to hard work, setting goals, always learning, and being open to change. This entry was posted in Higher Education and tagged calculus, communication, geometry, lgebra, mathematics, student empowerment, trigonometry. Bookmark the permalink.